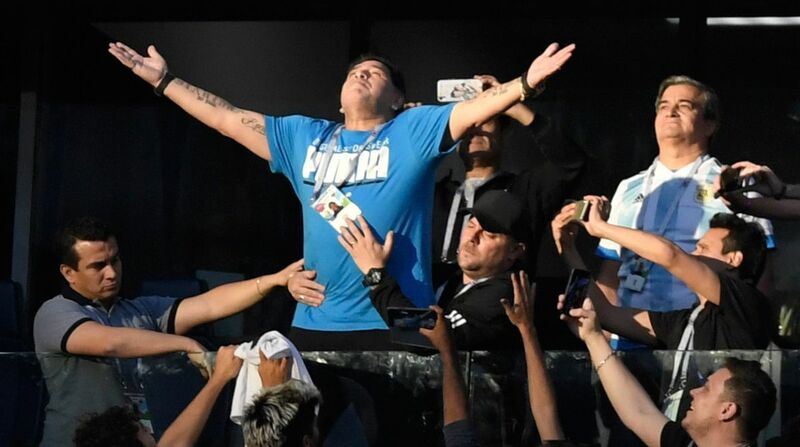 Argentina legend Diego Maradona said he was “fine” after being seen by a doctor during the team’s World Cup victory over Nigeria. The 57-year-old, who captained Argentina to World Cup victory in 1986, said his “neck hurt a lot” on Tuesday, the BBC reported. “I was checked by a doctor and he recommended me to go home before the second half, but I wanted to stay because we were risking it all. How could I leave?” the BBC quoted the soccer legend.